HAVANA, Oct. 20 (Xinhua/Sun) -- A UN envoy on Monday praised Cuba and Venezuela for their responses to the Ebola epidemic, Cuba's state daily Granma reported. 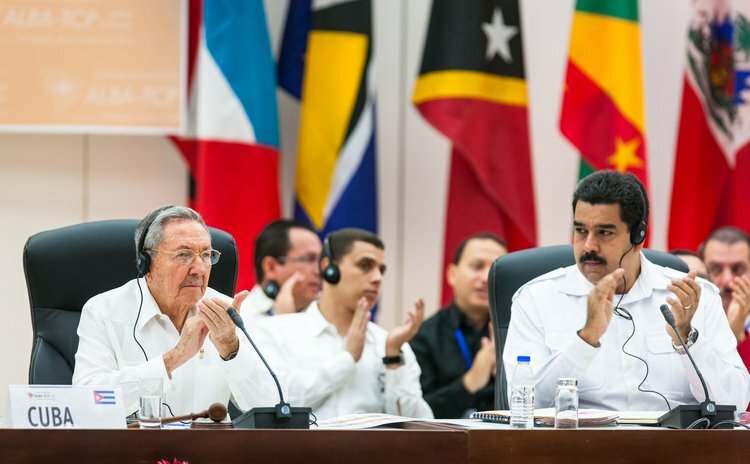 "We urge the region and the world to follow Cuba and Venezuela, which are commendable role models in rapid response to Ebola and support in containing the virus," David Nabarro, the UN special envoy on Ebola, said when attending an extraordinary summit of the Bolivarian Alliance for the Peoples of Our America (ALBA) in Cuba. At the summit, Nabarro also relayed a message from UN Secretary General Ban Ki-moon, who underscored the importance of joint cooperation in "preventing the spread of Ebola." Cuba's response to the current Ebola outbreak that centered in West Africa has been extraordinary, especially compared to that of other much wealthier nations, he said. Cuba has sought to place itself at the forefront of the international response to the Ebola epidemic, sending 165 doctors and nurses to Sierra Leone to combat the disease. "That once again demonstrates Cuba's solidarity with the world's developing nations," Nabarro said. Nabarro also thanked Venezuelan President Nicolas Maduro for contributing 5 million U.S. dollars to prevent Ebola. The ALBA extraordinary summit was organized at requests by Director General of the World Health Organization (WHO) Margaret Chan and UN Secretary General Ban Ki-moon as part of a global fight against the epidemic. The ALBA, which was founded in 2004, groups Venezuela, Cuba, Nicaragua, Dominica, Antigua and Barbuda, Saint Lucia, St. Vincent and the Grenadines, Ecuador and Bolivia. At the end of the summit, heads of state and high-level representatives of the nine member nations issued a declaration pledging to commit more resources to fighting against Ebola.